Pointcorp is marketing The Highgate located in Highgate Hill, next door to the famous Torbreck building. Looks like it will have great views north to the city. The complex will have 42 apartments starting at $1.5M. 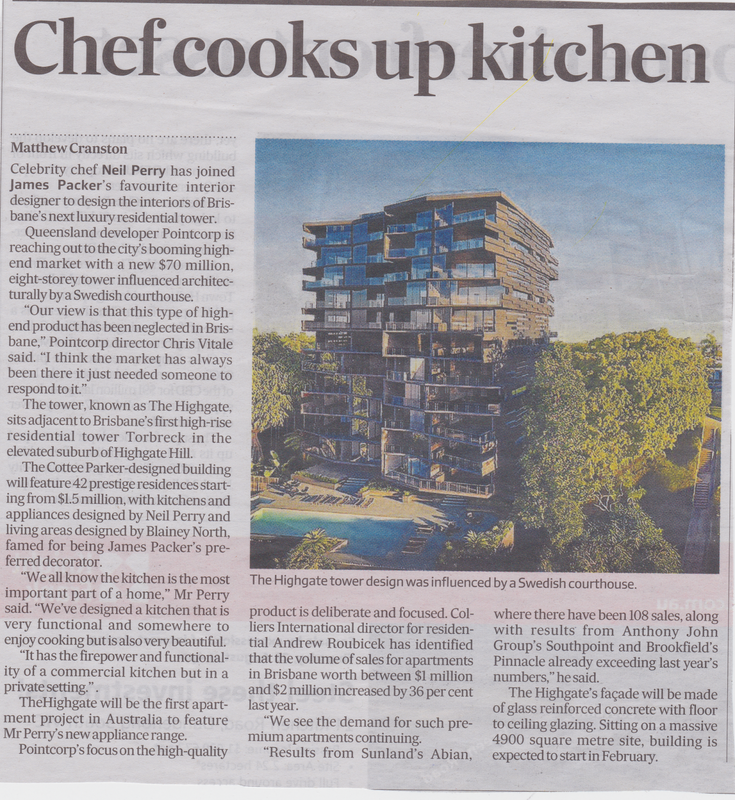 The developer says that is sees a demand for premium apartments in Brisbane, in the $1M to $2M range. The AFR below reports 108 sales in Sunland's Abian on Alice Street and good results for SouthPoint and Pinnacle presales.